Safaricom Jazz festival is Kenya’s only International Jazz festival that is set to return at the Kasarani Indoor Arena. 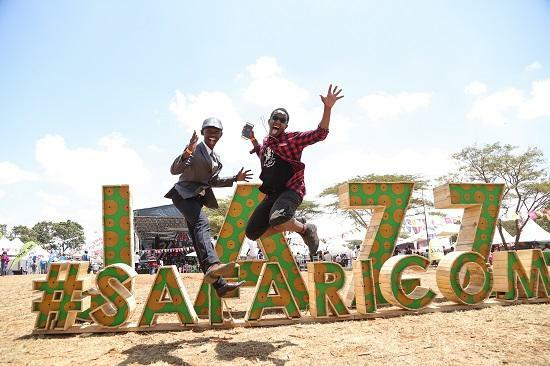 The Safaricom Jazz festival 2019 event continues to imprint its mark for delivering world-class artists and emerging musicians, to take the jazz soundscape to a large audience. In its 6th year instalment, it has confirmed a list of heavy weight musicians set to thrill a host of jazz enthusiasts in Nairobi, Kenya. The festival is produced by Safaricom, one of Kenya’s leading telecommunication service; under their tagline ‘Transforming Lives’ has under the festival’s platform raised Proceeds from all ticket sales to support Ghetto Classics music programme. The Ghetto Classics music programme, which has been the Safaricom Jazz beneficiary since 2014 and has so far received an estimated KES 60 million, funds that have benefited over 1,400 children from Nairobi and Mombasa. Proceeds from the 2018/2019 Edition will see the Ghetto Classics Schools programme extend to Kisumu. This year the festival run on the 11th – 17th February 2019. The 2019 Safaricom Jazz festival will feature Two-time Grammy award winner Marcus Miller. He has an expansive and enviable musical portfolio as the winner of Holland’s Edison Award for Lifetime Achievement In Jazz (2013), winner of France’s Victoire du Jazz (2010), and he was appointed a UNESCO Artist For Peace in 2013. Anyone who has listened to Miller or watched him live (even if is Youtube) or experienced his live performances can attest that he is quite a treat. Miller is known for his ingenious chops playing on bass and his ability to play music that is influenced with modern music that is expressive, funky and vibrant. Miller, along with his incredible band, will excite, entertain and transport audiences to unforgettable music adventure. A charismatic and masterful performer, Kato Change has an inimitable improvisation while approaching music and flirts with virtuosity. The guitarist’s beaming onstage persona is paired with a nimble command of his instrument. Kato continually draws inspirations from a heritage of jazz legends as well as African, Flamenco, rhythm and blues and rock genres, creating sounds that are both familiar and utterly singular. Born and bred in East London, but with musical roots firmly set in Nottingham, Yazmin Lacey has come a long way from recording music in her bedroom. Yazmin Lacey has been fusing her love of Lover’s Rock, hip-hop, jazz, Motown and electronics since 2013. Yazmin is credited for delivering stunning performances with her smoky, sultry vocals. Lead saxophonist Toine Thys brings his powerful trio to Kenya for the first time. The trio is recognised for their unique musical orchestration that combine saxophone, organ and drums (no bass). The trio’s performance is expected to deliver intoxicating melodies and adventurous solos that is derived from their multi-cultural influences. It is the world first band that plays “Techno Jazz” without doing any music covers. JRBB is a professional ensemble from Munich. The band has revolutionised the German club scene with their inventive live performances. The band has ingeniously honed the ability to creatively mix electronic music with the standard of urban nightlife. Their music will make you stand up and dance! Come celebrate the place of jazz in a city which is at ease with its rich cultural diversity. Date: Sunday 17th February 2019. The NyegeNyege Urge hit me. kindly do we have transport from Nairobi cbd? My mission here is to take you on a Kenyan musical journey that is exceptional. The Alluring Safaricom Jazz festival marks its 5th year; Feb 2018. Subscribe to stay updated from your inbox! © 2019 - Jazz Symphonic. All Rights Reserved.